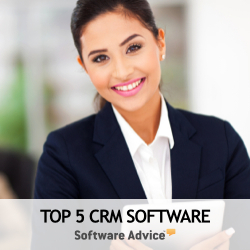 Some of the CRM and marketing software reviews reference the applications taking advantage of consumer technologies. What exactly does that mean? Consumer technologies, sometimes called the consumerization of IT, are part of the B2C consumerization making their way into B2B enterprise software applications. Consumer technologies include B2C, mobile and social features and tools we’ve come to enjoy, such as tagging or folksonomies, semantic search, better personalization, integration with social tools and social channels—and above all simplicity. Consumer technologies are so intuitive they can be used without lengthy training and without manuals. Business applications that tap into these benefits resemble consumer websites that are intuitive to learn, easy to use, personally rewarding and deliver an impressive user experience. They have smarter and more natural user interfaces that imitate consumer sites such as Amazon or eBay from a presentation layer perspective. They permit flexible navigation using touch screens, voice, swipe and gesture recognition. They often mix and morph the user’s personal and professional use, noting that the lines blur and are no longer separated by working or weekend hours. Business applications that tap into and mimic consumer technologies achieve lower learning curves, increased user adoption, faster time to value and greater software utilization (which thereby collectively achieve far greater payback on your enterprise software investment).